In my last blog on workplace drug testing, I described the business benefits and employee safety outcomes of implementing a drug testing program. I now shift focus to employee rights. Many questions come up when we talk about fair and ethical treatment of employees, and drug testing is one topic at the forefront. Should employers be allowed to conduct drug testing at their discretion? What guidelines must organizations follow to ensure legal defensibility when administering drug tests to employees? Does employees’ right to privacy supersede the goal of reducing workplace accidents and injuries? In spite of the many reasons for organizations to conduct employee drug testing, caution must be exerted in navigating the legal concerns associated with implementing such programs. Many individuals view structured or random drug testing as an invasion of personal privacy, often making the argument that so long as their job performance does not suffer, what they do at home should be of no concern to the organization. In addition, organizations may experience a variety of unintended consequences due to drug testing, including reduced employee trust, organizational commitment, and job satisfaction. In 1989, The United States Supreme Court began to hear legal cases challenging the implementation and outcomes of drug testing programs, and while most decisions tend to uphold the actions of the organizations in question, some states have enacted laws prohibiting random drug testing in the public sector. 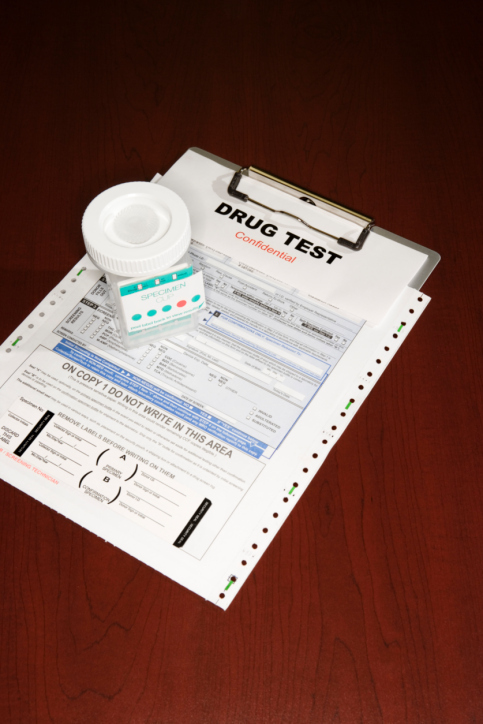 According to the U.S. Department of Labor (DOL), Federal agencies conducting drug testing must follow the Mandatory Guidelines for Federal Workplace Drug Testing, a standardized set of procedures established by the Substance Abuse and Mental Health Services Administration (SAMHSA), which falls under the U.S. Department of Health and Human Services (DHHS). The majority of private sector employers are not required to drug test under the Drug-Free Workplace Act of 1988. Thus, most organizations that drug test their employees do so proactively to improve SafetyDNATM and minimize hazard exposure. Although not required to follow SAMSHA guidelines either, private sector employers often adhere to these to stay on safe legal ground. They have the right to test for a variety of substances and under a number of circumstances, but because some state and local governments have statutes that limit workplace testing (unless required by state or Federal regulations for certain jobs), it is important that they are familiar with the state and Federal testing regulations that apply to their organization. Another concern of organizations is the appropriate action to take when an employee fails a drug test. Under the Americans with Disabilities Act (ADA), individuals with a history of drug addiction or alcoholism may qualify as having a disability, and consequently, firing or not hiring employees based solely on drug testing can be legally problematic. As a solution, many organizations are creating Employee Assistance Programs (EAP) to help employees overcome drug or alcohol addictions. EAPs simultaneously protect organizational interests by requiring that employees successfully complete the programs they are assigned to as a condition of employment or return-to-work. Notwithstanding the debates surrounding workplace drug testing, organizations that value employee safety should, and do, utilize drug testing programs. Employees who use illegal drugs and abuse alcohol are more likely to exhibit more at-risk behaviors than employees who are sober and of clear mind. It is recommended that employers follow Federal guidelines for the best practices of drug testing, and encourage openness of communication between employees and top management to build trust around the purposes of such programs.